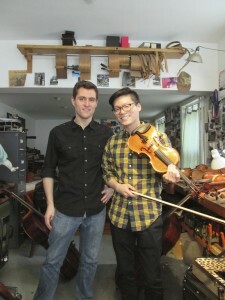 Bryan Lee and Joel Link are the violinists of the rising, young Dover Quartet. 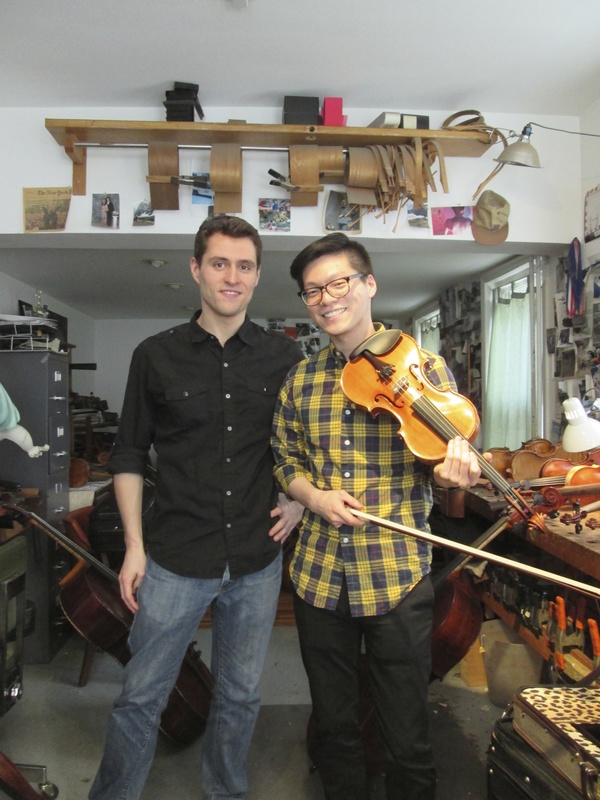 Formed while they were at Curtis, they have been launched to a higher level by winning last years Banff International Competition and travel the world… bringing their fine,old, temperamental violins with them. I have done a lot of work on Bryan’s beautiful Antoniazzi – both inside and out ….and have lately done work on Joel’s fine Brothers Gagliano. Its always a fun challenge to try to maximize the sound /power and clarity on these great fiddles by adjusting soundpost,bridge,tailpiece and anything else that can happen in a short time frame – since they always have a plane to catch!